Do you sometimes wish you could goof off work and play? 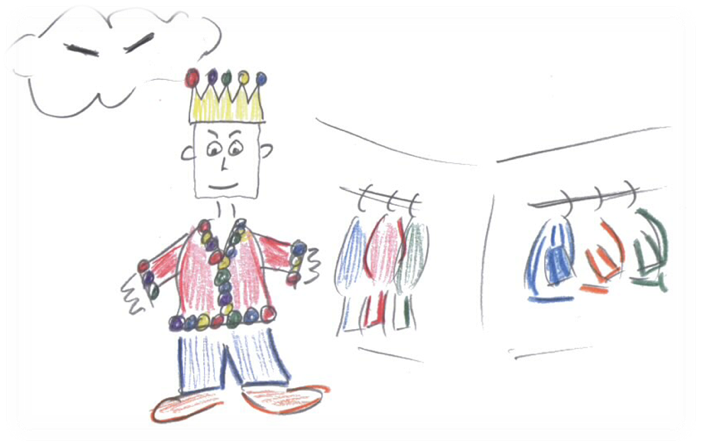 I’ve been invited to present “The Power of Play” at GOTO Copenhagen on May 23. Join us in a playful presentation where we’ll explore why play isn’t just essential for creativity and innovation, but crucial to our survival and overall well-being. 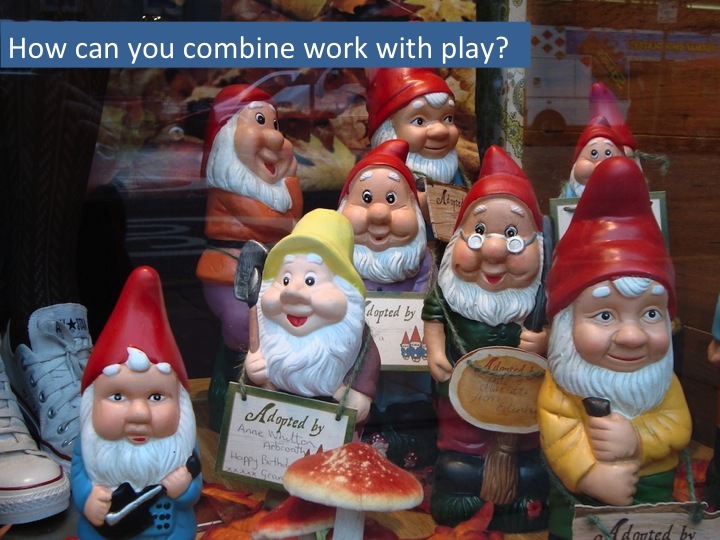 We’ll begin with the definition of play followed by an exploration of why we play and how we play. We’ll investigate the relationship of work and play and demonstrate how, instead of being mutually exclusive, both are necessary for personal and group creativity and achievement. We’ll finish off with useful guidelines for bringing more play into your life. And if you play your cards right, you’ll leave with plenty of ideas to achieve your recommended daily amount of play! If you’d like to come along, then there’s more good news! You can now take advantage of a speaker referral program, get a discount AND GOTO will make a donation on your behalf to “Computers for Charities“. Enter the promotion code: tung1000. Hey presto! You’ve just saved DK 1.000 AND GOTO will make a donation of DK 1.000 to a charity. Meanwhile, looking forward to playmaking with you and your friends at GOTO Copenhagen in 2012! For as long as I can remember, I’ve always yearned to find a place where would I truly belong. A place where I’d spend most of my waking hours actively participating in what I call the 3 Cs: Communication, Collaboration and Community. Communication: A place where my finger’s always on the pulse, a place where people say what they mean and mean what they say. Collaboration: A place where people work together, play together, win together, working towards a common goal. Community: A place where we care about one another, look out for each other and create opportunities together. Then one lunchtime, as I peruse the shelves of business books at my local bookstore, I stumble upon a book to help me turn my dream into reality. To create a place where I long to belong at work. “Tribal Leadership” by Dave Logan, John King and Halee Fischer-Wright is a book based on the ancient concept of tribes. In it, they describe how organisations operate in a 5-stage model based on organisational research from numerous U.S. companies. The book is packed full of practical tips of how to “upgrade” your tribe from its current stage to the next in order to create an organisation that doesn’t merely survive, but thrives. According to Dave and his co-authors, a tribe consists of a group of between 20 – 150 people who would stop and greet each other when their paths crossed. A small tribe (the equivalent to a small organisation) is between 20 – 50 people large, whereas a large tribe (a larger organisation) is between 50 – 150 people. The concept of “tribe” scales in that a large organisation is made up of a tribe of tribes. And what do all tribes in a single organisation have in common? Organisational culture, of course. The supporting research of Tribal Leadership is based on workplaces in America. Stage 1: A person at Stage 1 is usually alienated by the world of them. Around 2% of professionals are at this stage. People at Stage 1 take shotguns to work. Tribes at Stage 1 are reminiscent of prisons in culture. Stage 2: A person at Stage 2 is constantly complaining, wondering “Why me?” Dave refers to this stage as the “ghetto of corporate despair. Around 25% of workplaces operate at this stage. According to the model, Dilbert is at Stage 2. Stage 3: A person at Stage 3 is all about “Me! Me! Me!”. Knowledge is power and they hoard it and keep it for themselves. A whopping 49% of workplaces are at Stage 3. Stage 4: Individuals and tribes are value-driven at Stage 3. Around 22% of workplaces make up Stage 4. Interesting fact: people at Stage 4 require a common enemy against whom the tribe focuses in order to be better. Reminds me of classic James Bond movies where Bond needs baddies in order to be a goodie. Stage 5: A person at Stage 5 “makes history”. People at Stage 5 take full responsibility for their words and actions. They are driven by leadership, vision and inspiration. Around 2% of workplaces make up Stage 5. Graduates begin at Stage 5 and usually regress to lower stages. For those who know me, one of my favourite hobbies is turning theory into experiential learning to help bring the theory alive and that’s exactly what I’m trying to do with Tribal Leadership at XP Days Benelux last week. I hope you have as much fun looking through the presentation as I did in building it with help from my tribe! Where can I find out more about Tribal Leadership? See the session in action with pictures taken at XP Days Benelux – Special thanks to Menno van Eekelen for the photo-journal coverage of the session! 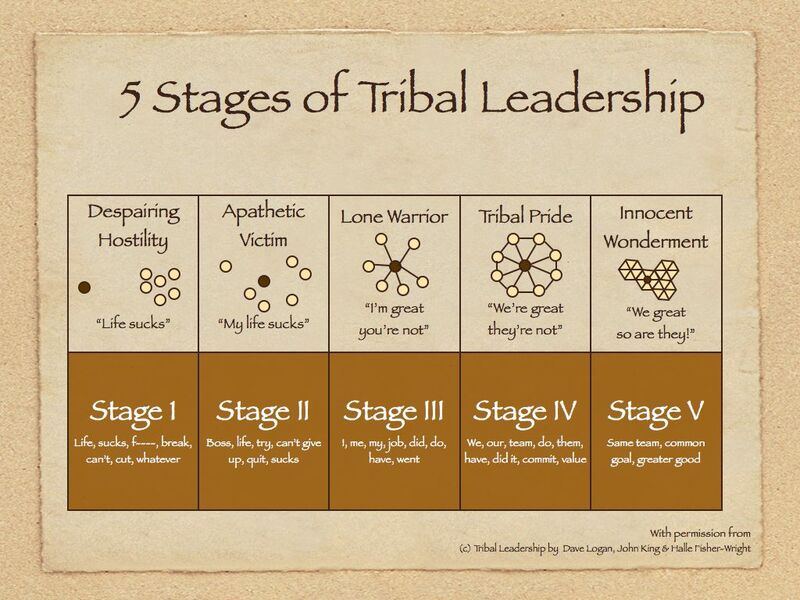 To Dave Logan and his team for giving permission to re-use his model and snippets from the great book “Tribal Leadership”, not to mention all the really useful feedback and input to clarify the role of ego in the different stages. To my tribe at work for playing along and giving the gift feedback. It sure helped to turn the BETA session into something much more challenging, meaningful and fun! 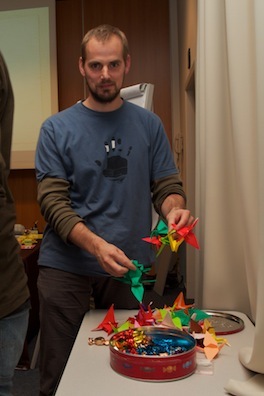 To the 40 participants at XP Days Benelux who took part in synchronise peace crane paperfolding and are living proof of how even perfect strangers can learn to tribe in as little time as 90 minutes. And for their gift of feedback. Looking forward to playing again next year! It’s that time of year again, Christmas is just around the corner, people are talking about the possibility of snow on Christmas Day and, of course, it’s almost time for XP Days Benelux, the friendliest and most fun Agile conference I know. I’ll be presenting a brand new session about Tribal Leadership based on the book by Dave Logan, John King and Halee Fisher-Wright. I’ve had great fun experimenting with the theory, so I hope you’ll enjoy it! Do you hope that one day all the office politics will be replaced by a common and worthwhile cause? Do you wish you could be part of a winning team? Do you dream of working in a place where you belong? Every organisation is made up of tribes, naturally occurring groups of between 20 – 150 people. And even though each tribe is different they have one thing in common: organisational culture. Join me to learn about Tribal Leadership, a practical model for leveraging natural groups to create organisations that thrive. Learn how you can help transform your work experience into what you want it to be by focusing on language and behaviour within a culture. You’ll get the chance to identify the stage you and your tribe are in and the next stage you want to move towards. Working in pairs, triads and as a whole group, you’ll leave the session with a roadmap of your own to take your tribe towards “Innocent Wonderment”. 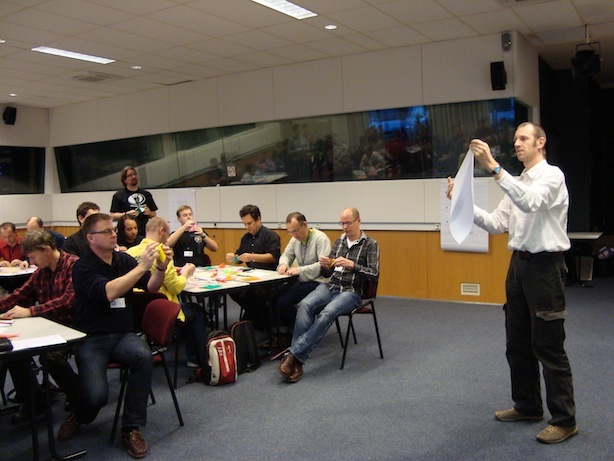 Looking forward to the fun and games at XP Days Benelux and all the invaluable learning and sharing! 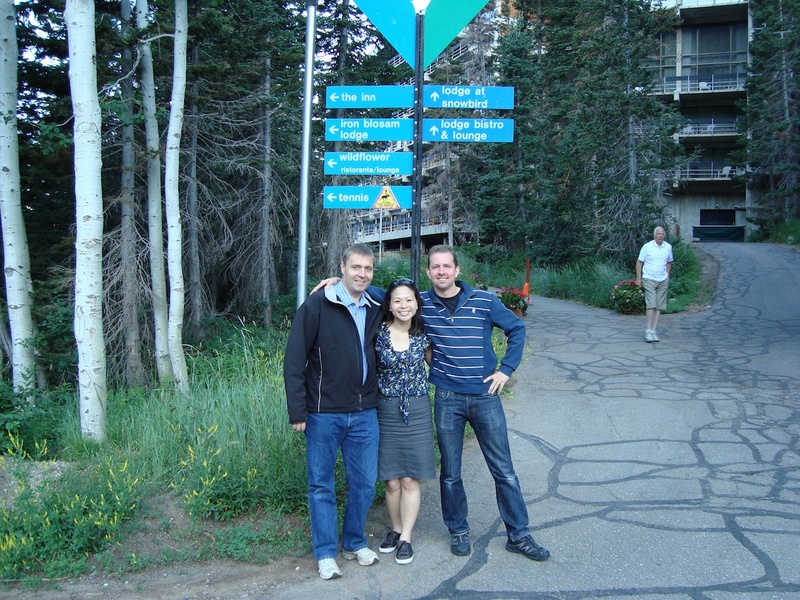 I still remember the moment when I first heard that Agile 2011 was going to take place in Salt Lake City, Utah. It was during an announcement at the end of Agile 2009. At the time I wasn’t sure how I’d get there and with whom I’d go, but two things were certain. Firstly, I thought it would be nice to re-live history by visiting the room where the Agile Manifesto was created 10 years ago. Partly out of curiosity and partly out of respect to the 17 visionary-signatories without whom I probably wouldn’t have a job I love doing and related to IT. Secondly, I would have to go with a group. 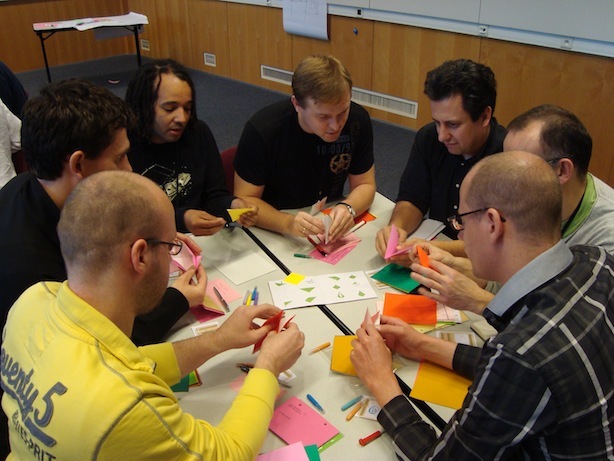 After all, Agile is fundamentally about people working together. It would be odd and sad for me to show up and no one to relive the historic moment with. 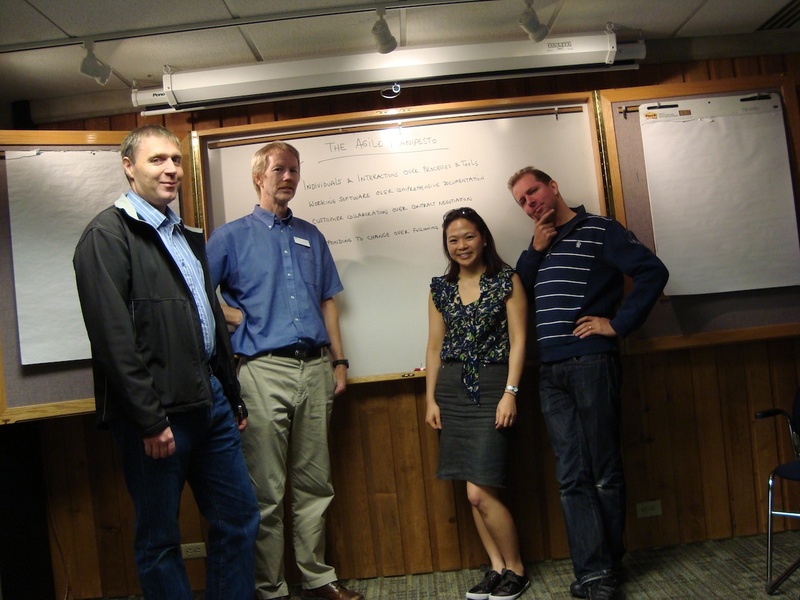 Almost everything I’ve ever experienced with Agile has been remarkable, so it came as no surprise that our journey to Snowbird was equally serendipitous. 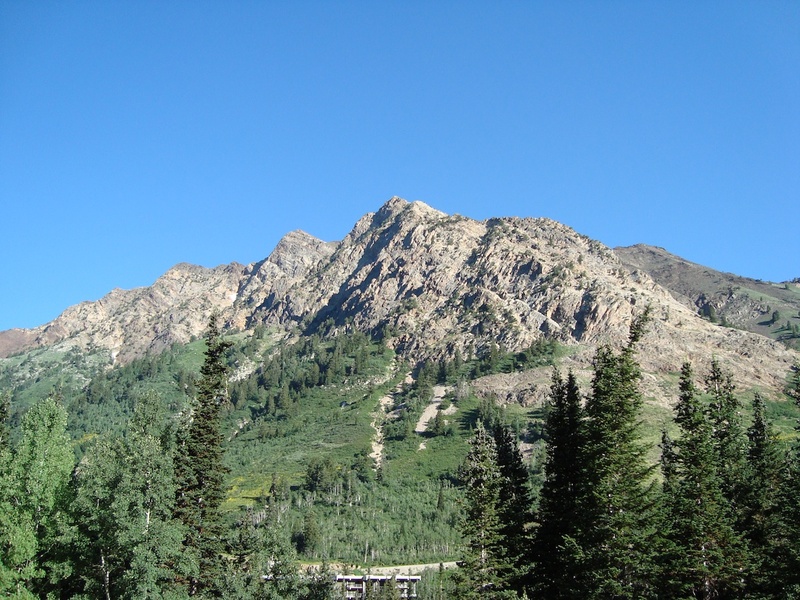 As soon as I arrived in Salt Lake City, I started polling for interest about a visit up to Snowbird. My mission was clear: to get a bunch of people up to Snowbird to celebrate the manifesto‘s 10th birthday. I didn’t do it in a fanatical way. Rather, I offered it as an option. 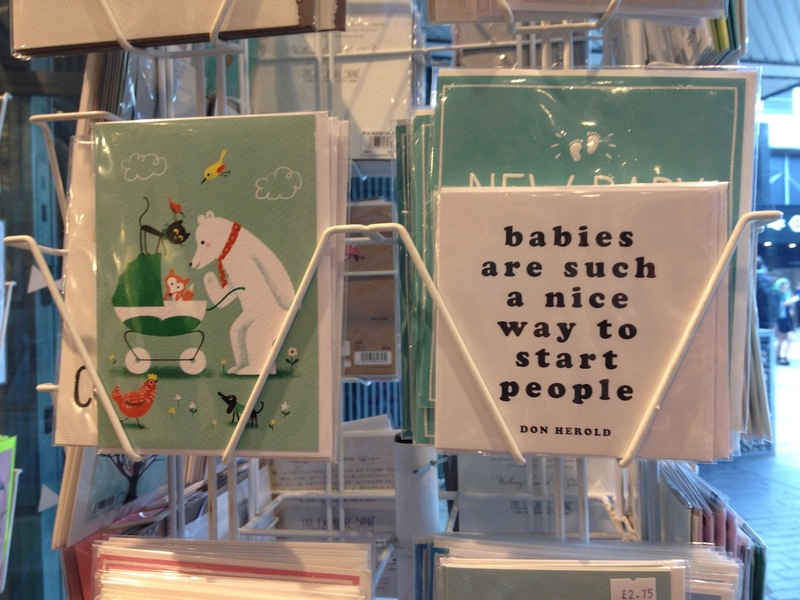 Some people would smile politely and nod, agreeing that it was a good idea in principle. Others would stare bemused since they felt it unnecessary; we were already at the conference, isn’t that all that mattered? May be for them, but not for me. Two days into the conference, I only had one other person seriously interested in making the journey – Carsten Ruseng, a friendly Dane, from Systematic. Over the course of the next couple of days, we tried to create and evaluate options for making the visit possible. 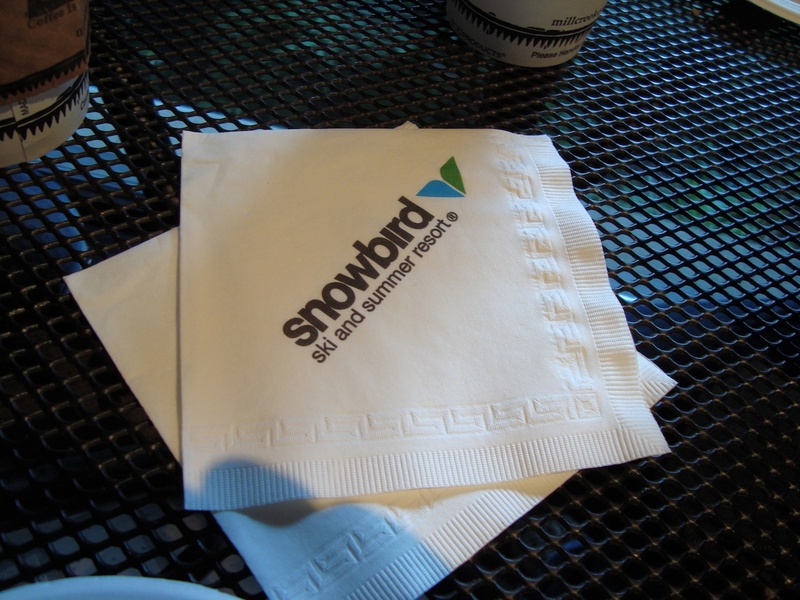 We both wanted to make the most of the conference AND we wanted to visit Snowbird. I felt confident that we could achieve the mission if only we applied Agile and Systems Thinking to the problem. Meanwhile, I needed to find out the exact location of the room. Fortunately, I bumped into Alistair Cockburn during the conference and he gave me precise directions. It’s Lodge at Snowbird, exit 3. The rooms’s just above the reception. That was the most crucial piece of information I needed to complete my mission. Then finally, last Thursday, on the evening before the last day of the conference, Carsten and I committed to executing the mission (the last responsible moment). We’d meet bright and early the next day (at 7 am to be exact) and go to Snowbird. It would mean that we’d miss Kevlin Henney’s talk but I knew Kevlin would understand. Throughout our planning conversations, we always went back to our goals for the mission. In Carsten’s words, “We’ve already come all this way for the conference. Not going would be like not seeing Niagara Falls even though we were in Toronto.” Since we’d both managed to visit the falls independently during Agile 2008, I understood what Carsten meant. But we were still only two. Given that three’s a crowd, I wished for one more person to join us on the pilgrimage. Just when I’d almost given up hope late Thursday night, Carsten texts me to say that Henrik Kniberg would like to join us and would that be OK. OK? I said. Most definitely! We arrive at 07.50 outside Lodge at Snowbird. When we get to the reception, I look the gentleman behind the desk straight in the eye and begin to explain why we are there. We’ve come to see a very special room, I say. We’re in Salt Lake City to attend a conference and 10 years ago, a bunch of people created a manifesto related to the conference. They created the manifesto in the room just above your reception, I explain. At first, the gentleman stares at us blankly and then he starts to ask us a whole bunch of questions. What’s the conference about? Where do you all come from? Why is seeing the room so important? Just when I think he is going to decline our request, Monte tells us that 10 years ago, he left the IT industry. He tells us how, at the time, he thought there must be a better way of developing software and he even wrote an essay about it. He asks us to tell him a bit more about the manifesto. Have the lives of IT professionals improved, he asks. Are they happier? To which we reply things have improved, but with improvements come greater expectations. We’re doing our best. We’re always striving to learn, we tell him. Monte ushers us into the office so that we could look up the manifesto online. Henrik had come up with the idea that we could double-check we’re looking at the right room based on the background picture of the manifesto with the signatories stood in a circle. Everything from there is history. Before taking our group picture, we scribble up the 4 values as though they were fresh from yesterday. We start joking and laughing at our adventure. At first, we ask Monte to take a picture of us. Then we set the camera on auto-shoot so that we can get a picture with Monte in it, too. This is the crowd I was hoping for. We spend the next half hour strolling around Snowbird. It’s not difficult to imagine how such beautiful scenery would inspire people to come up with something like the manifesto, Carsten remarks. During the walk, we exchange more of our memories accumulated over the last decade. We talk about getting lost, following and leadership. The overarching theme of that day has to be closure. Henrik mentioned it several times. He explains how he was going to go on a family holiday soon for six months and has handed over the Agile Manifesto translation project to Shane Hastie, newly elected on the Agile Alliance board. Henrik describes how by initiating a translation project in a certain region or country, it has brought people together, in debate and discussion about what the manifesto really means. Translating the manifesto into a different language usually marks the start of something important. For me, closure has resulted in a new beginning. One that builds on the past while clearly looking into the future. It reminds me of Tom Peter‘s frustration when he wonders out loud why it’s taken so long for us to realise excellence, and we’re not there yet, even though he wrote the book “In Search of Excellence” more than two decades ago. And my answer is this. Everyone knows what’s right, but only the Spartans do it. That was the lesson I learnt in history class all those years ago. We can go around claiming to be “agile”, but everyone else recognises when we’re not. To make progress, we need to first be honest with ourselves. How agile are we really? Most importantly, why should it matter? What do we want to achieve, now and in the future? How will you make work matter today? Agile Fairytales go to Agile 2011! 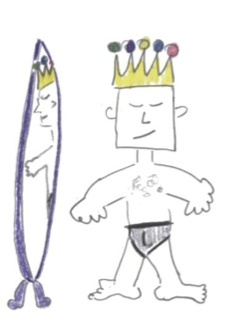 The brand new Agile Fairytale “The Emperor’s New Clothes” will be making its first appearance in the US at Agile 2011 on Tuesday, August 9! It was first shown at XP Days Benelux 2010 and has been travelling around Europe with Jenni Jepsen and me ever since! 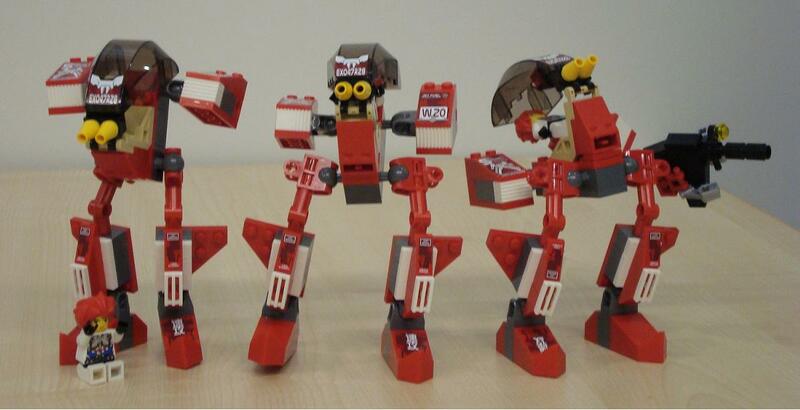 See the Emperor in all his glory! Which role will you play? We all interact with different types of characters in our daily lives which may lead to stressful situations. Together, we’ll learn how to communicate more effectively with others, especially at times of stress, by transforming our behavior from incongruence to congruence. We’ll learn to recognise incongruence by role-playing the 5 Coping Stances based on the Satir Model, then learn how to begin transforming our behavior from one of incongruence to congruence by thinking about interactions in terms of Self, Other and Context. 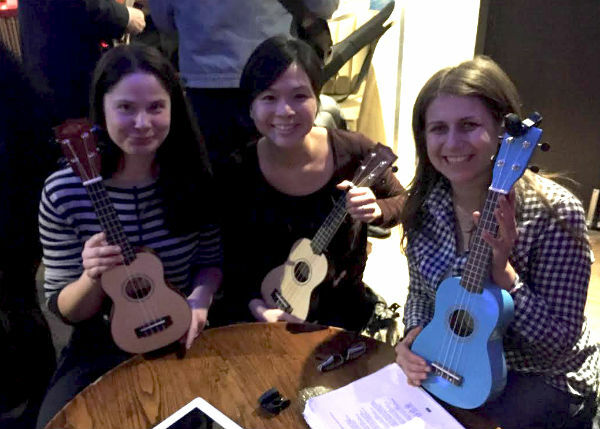 Places are limited to 30 participants, so come early to play, de-stress and improve! You are currently browsing the Selfish Programming archives for the Conferences category.